March 2, Friday Visit by author Jessica Garrett; All Grade Levels. I hope you had a wonderful week and were able to enjoy some of the gorgeous weather we had! My boys and I went to the Cape Codder in Hyannis for a couple of days where it was rainy and cool outside, but the water park and arcade inside were warm and toasty. Of course, those were the days where it was 70 and sunny back in Arlington! C’est la vie! All in all, it was a nice change of pace for our family, and I hope it was for yours as well. I wanted to take a moment to acknowledge the horrific event that occurred in Parkland, Florida just before vacation. Like many of you, this shakes me to the core as both a parent and a school principal. Every day, the safety of our children is of the utmost of importance to Thompson Faculty and Staff. While we are always conscientious of not propping doors open, being aware of our surroundings, and student/staff/parent well being, I am asking for your assistance in these areas as well. Please encourage one another to be mindful of signing in at the main office, putting on a Visitor Badge, waiting for the door to close behind you as you enter, etc. We are always practicing, discussing, and re-evaluating our protocols, so please don’t hesitate to reach out. I’ve seen quite a barrage of political discussions, cartoons, etc. on social media this week, and while I don’t typically engage in such discussions or postings, I feel very strongly about my responsibility to keep our Staff and Students safe. I firmly believe that having personal connections with each other, building a positive culture, and supporting each student emotionally, socially, and academically is paramount in keeping each other safe. Please keep the families, staff, and students of Marjory Stoneman Douglas High School in your thoughts and prayers. Congrats again to our Raffle Winners! Sarah Mowbray: In-Home Dinner Party for 6 with JuliaCooks! The PTO would like to continue to support families who need assistance for the remainder of the 2017- 2018 school year. To help with this process, if your child/children would like financial assistance for any PTO related programs, please print and fill out the form found here and return it to Ms. Vicki or Karen Donato. All information provided will be kept confidential. It is the mission of the Thomson PTO to ensure that all students have the opportunity to participate alongside their peers in all Thompson events and initiatives. By filling out this form, you are helping the PTO make this possible. Come with the kids and join the fun! Local game company GAMEWRIGHT lends us demo games to try out and families are welcome to bring a favorite board game from home, set up a table, and teach a group of friends how to play it. Plan to feed the kids before coming or bring a picnic style dinner to eat in the cafeteria. Additionally, we will have healthy snacks, baked treats, apple cider and hot cocoa. We will have new GAMEWRIGHT games and used games donated by Thompson families for sale. All profits go to the PTO. Consider buying a game from your teachers’ wish lists. Come prepared to sit and play board games with the children, this is not a drop off event. If you are planning on attending, please consider helping us to make it a successful one, by collaborating in one of many ways. Support Thompson while donating your unwanted clothing, shoes, linens, stuffed animals, and more (in any condition as long as they are clean and dry). Bay State Textiles gives the schools a share of their profit from the sale of these materials. The more you donate, the more the school will receive! The bin is located on the Everett Street side of the school, near the loading driveway. See the acceptable items and other participating schools in the AHS Textile Recycling 2018 Flyer. The Museum of Science visited the 5th graders on Monday to discuss “States of Matter.” The presenter used liquid nitrogen and various other materials to demonstrate how physical matter transforms from solid to liquid to gas and back. The kids saw metal melt in water, and glycerin, water, and air become solid. They even saw super-heated water cause paper to burn. Planning for the future rebuilt/renovated Arlington High School is underway and the AHS Building Committee invites the community to participate in the conversation. Each forum will provide an opportunity for community feedback. 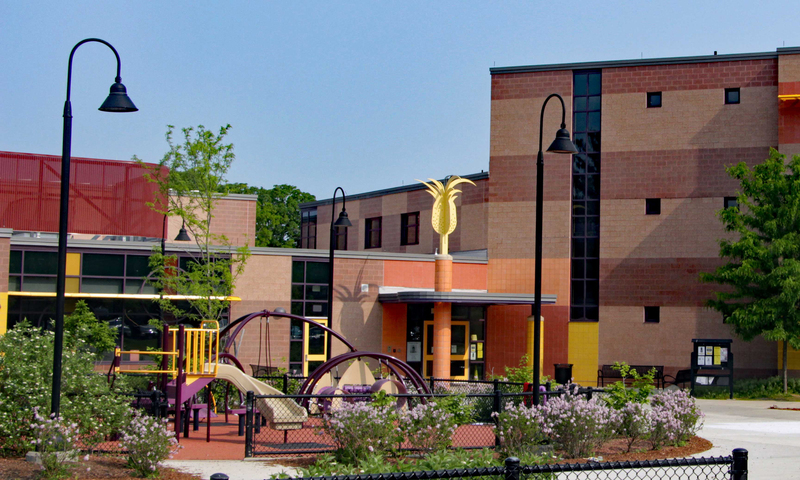 The Town of Arlington has been invited into the Massachusetts School Building Authority (MSBA) process for the renovation/construction of Arlington High School. Acceptance to the MSBA program does not guarantee state funding. The MSBA approval process must be completed successfully for the state, via the MSBA, to provide significant financial assistance to the project. Local funding must also be assured through passage of a debt exclusion. Why: Stop by and say hi to two School Committee members (look for the sign) to answer questions, collect concerns, listen to your ideas, and generally talk about the Arlington Public Schools. June 2 at Caffe NeroNo appointment necessary, simply stop by! Though it seems a long way off the planning for the annual June picnic is starting now. The PTO is seeking parent volunteers interested in taking an active role in planning to join the picnic organizing team. Game Night is this Friday March 2nd! In addition to needing volunteers for Game Night itself – we need donated baked items and healthy snacks to sell as concessions. Take a look at the sign-up genius and let us know if you can help! Join the Community Card Team! Send an email to Co-Chairs Ashley Lorenz (K,3,5) at ashley.e.lorenz@gmail.com or Gaggi DeStefanis (3) gaggi@rcn.com. Here we are – the middle of February! We have survived some crazy snow, ice, up to 50 degrees, down to 20…and of course, some have also coped with a Patriots loss in the Super Bowl. As I type this, I realize we are also at the 100th Day of the school year! Congratulations to ALL of us! This week will bring Valentine’s Day on Wednesday, and PTO Spirit Day on Friday. PLEASE remember that FOOD items are not allowed to be distributed with valentines. If you have a few moments this week leading up to the break, stop by and check out the Lost & Found. We expect to donate these items in the very near future! Wishing you and yours a wonderful break next week – take some time to just “be” with one another…that’s my plan! Thompson classrooms and families can submit a 100% non-recyclable trash sculpture of their “Ecosytem Decomposer Superhero at Science Explo.” Students can include a comic strip about their superhero’s super power to recycle nature’s waste into food and energy for the food chain. 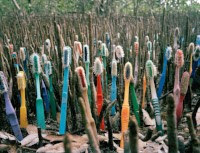 Trash-straws, toothbrushes, non-recyclable plastic including silverware,… Trashformation entries less than 5″ x 5″ x 5″. Comic strips- on 8.5 x 11″ paper (on back of reused paper). Green Team meets on the first Friday of the month 2:30pm – 3:30pm in the Conference Room. When: TUESDAY, FEBRUARY 13 AT 6:30 P.M.
Join author, psychologist and consultant Dr. Christopher Willard for an evening presentation about stress in children’s lives and bringing mindfulness to kids, teens and families. Dr. Willard will be sharing practices for caregivers to use themselves and take home to their families. We will explore the importance of our own practice, starting or deepening your own self-care, as well as fun ways to share with your kids. What a feeling! Join fellow Arlington parents for the Peirce PTO 80’s Night party on March 3rd – have a great grownups-only night out with friends old and new, enjoy laughing at the best and worst of 80s culture, and maybe get lucky in our raffle, silent auction, or 80’s costume contest! DJ 5461 (a Thompson School parent!) will be partnering with a VJ to provide an immersive 80s nostalgia experience. This party raises funds for the Peirce School PTO but it is open to the entire Arlington Public Schools community. Tell your friends at other schools too! Parent needed to help coordinate a new “Teacher’s Wish List” program in late February and March. Teachers will be given a survey about items that are needed for their classrooms; anything from books, games, choice time activities, headphones, supplies etc. A Wish List will be consolidated from the survey and a board with the individual items (similar to what is done at the holidays) will be created for parents to purchase or donate items they may already have. Interested in taking this on? The biennial Thompson Science EXPLO is March 17th. There is still time if you are interested in organizing a science-themed activity. Please email the EXPLO chairs at ThompsonExplo2018@gmail.com. One of the biggest PTO events of the year, the Science EXPLO requires many helping hands, be it an hour or more. Please mark your calendars and look out for the volunteer signup after the Winter break.